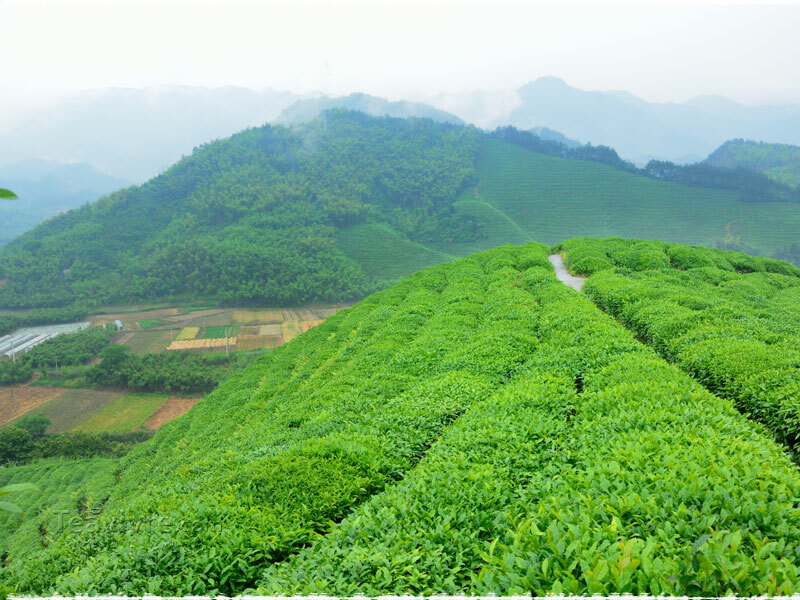 Lu’an Guapian tea (sometimes called “melon seed tea” “flat tea” for short) is produced in the Dabie Moutains (大别山) of West Anhui Province. It is one of the China’s top-ten famous green teas having a brilliant long history in the development of Chinese tea culture. Lu&apos;an Guapian tea was first recorded in the book called The Classics of Tea (茶经) which was written by Lu Yu (733-804 AD) during the Tang Dynasty (618-907 AD). The Classics of Tea is the first book about general tea knowledge, and contains a brief introduction about tea categories and how to prepare tea. As one of the oldest teas in China, it has been highly praised by tea connoisseurs from Tang Dynasty and was chosen as a special gift for Henry Kissinger during his first secret visit to China in 1971. This tea distinguishes itself from other famous teas with its unique appearance. Unlike most green teas which utilize leaf buds for making tea, Lu’an Guapian uses the second leaf on the branch and discards the stem so the finished leaves bear some resemblances of the seed of melon. 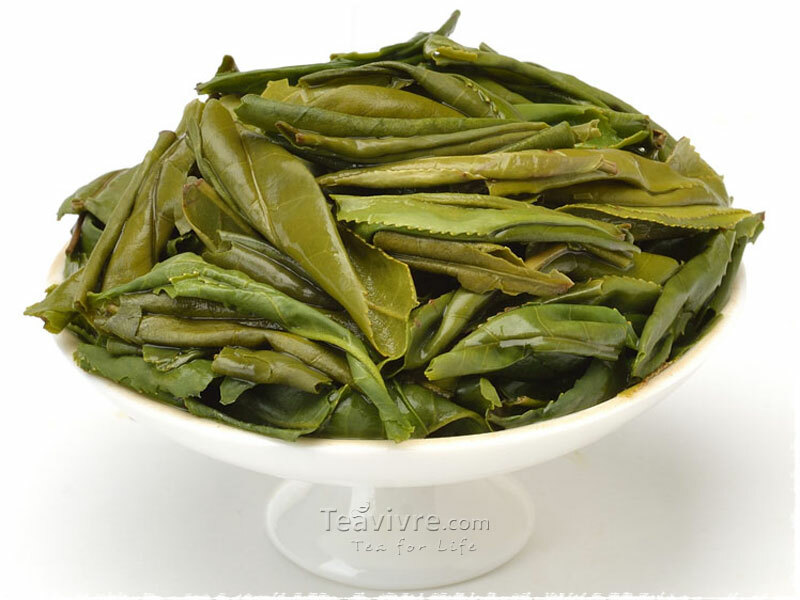 In contrast to the processing methods for other kinds of green tea such as famous Long Jing, Lu&apos;an tea is also called Da Cha, or Big (Leaf) Tea sometimes due to the reason that the hand-plucking is carried out when the leaves are big enough. And the baking step causes the taste of it to be different from other types of green tea in China. 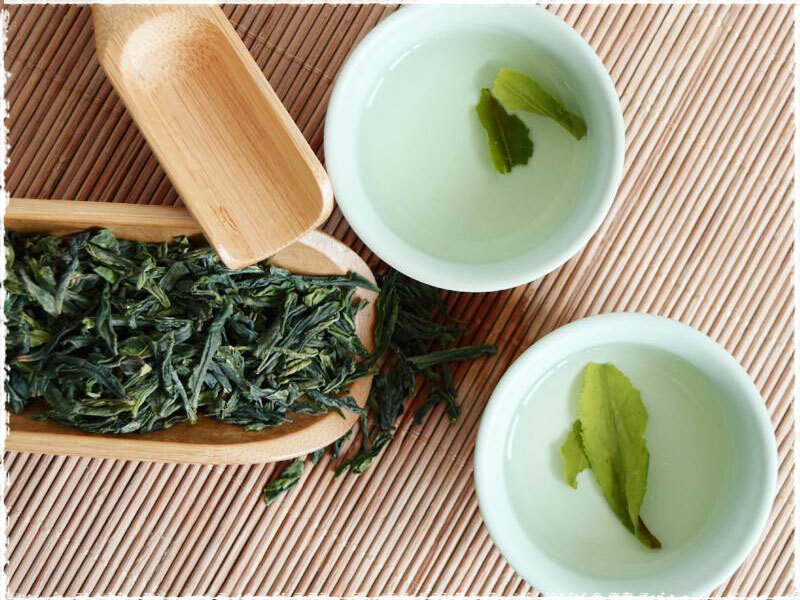 Originally this green tea was called Gua Zi Pian or “sunflower seed” tea due to its resemblance to the popular tea house snack (stir-fried melon seeds). 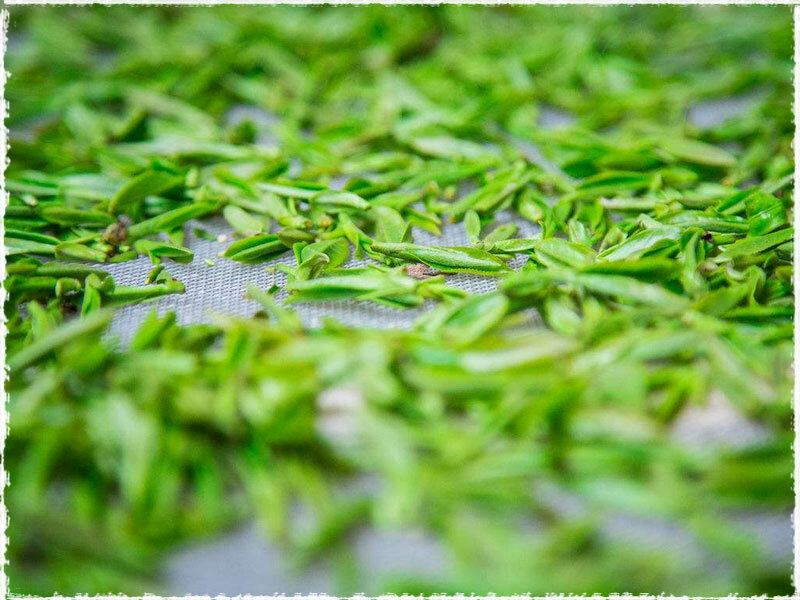 Over the years, the name has been shortened to Gua Pian (瓜片) causing some to mistakenly call this tea “melon seed.” By either name, this is a special tea for its harvesting and processing techniques. Lu’an Guapian is a rare long leaf green tea with long thin leaves creating a rich flavor without bitterness. 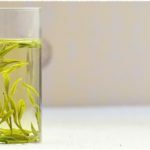 It has a bright green tea color and is considered a very clean tea since there are no buds to leave any fuzz when you brew it. 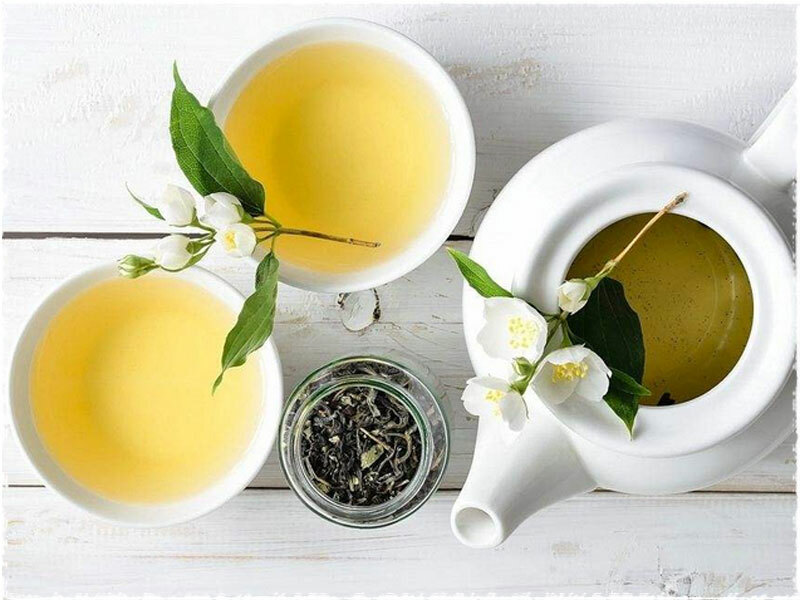 Besides, its complex and rich monthfeel, with a wonderful sweet flavor and long finish make itself favored by tea lovers and selected as one of China&apos;s Top Ten Famous Teas. It further won the China Tea Award in 1982 and the China Food and Drink Award in 1988. 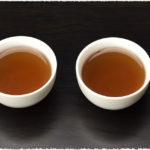 During the Ming Dynasty (1368-1644 AD), Lu’an Guapian tea was widely used to prevent sunstroke by the Chinese and sent to imperial palace as tribute yearly. The earliest Chinese Christian Xu Guangqi (1562-1633 AD), who was also a well-known scientist writing in his Agricultural Encyclopedia that “laminar tea from Liu’an prefecture is a top-grade tea”. In 2007, the then General Secretary of the Communist Party of China, Hu Jintao gave the “Lu’an GuaPian” tea to Russian president Putin as state gift. Now, this tea has become well known home and abroad and one of the main sources of the economy here. 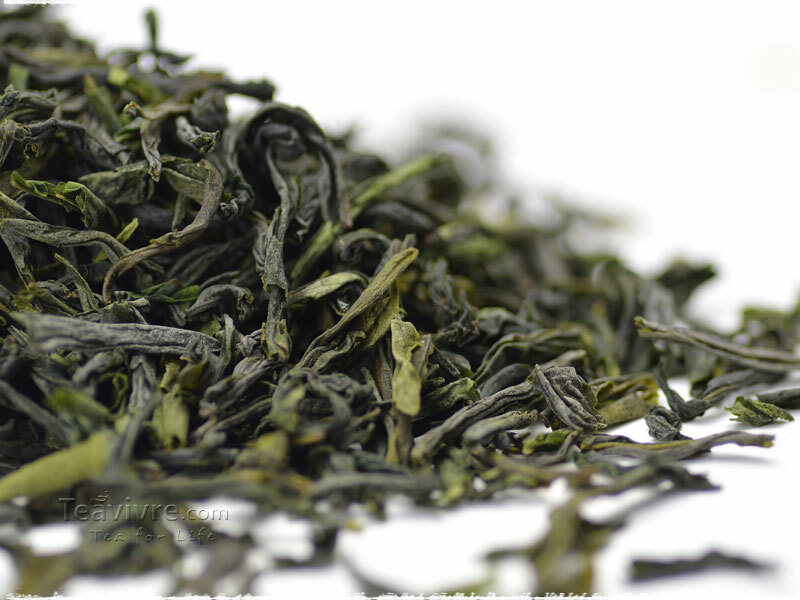 The processing techniques of this green tea are very unique. 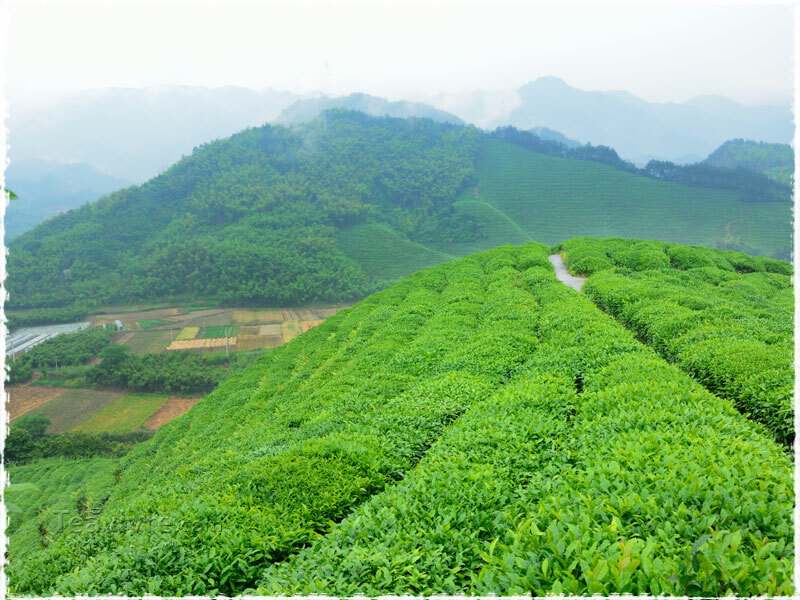 The tea leaves are left on the bush for longer than most high-end green teas to saturate the leaves with more nutrition and complex taste. 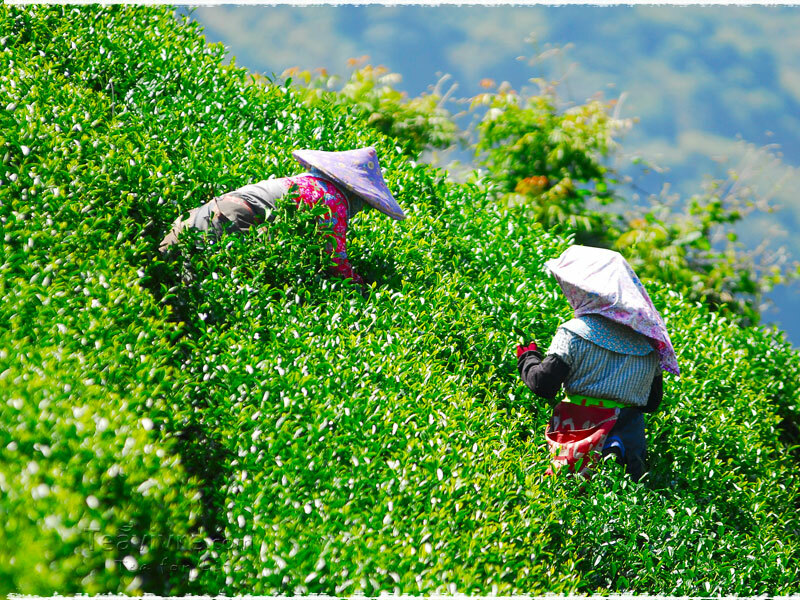 Tea pickers will only pick one leaf, no bud, with a small amount of sprig. One by one, processors will remove the stem by hands later. To complete this process, 2 woks are needed, one is called “raw wok “and the other is “ripe wok”. The movements of rotating, stirring up and sprinkling are carried out in the raw wok by skillful worker using a small broom. This raw wok is 80 cm in diameter heated to 90-100℃. This step is called de-enzyming (杀青) aiming to inactivate oxidative enzyme and fix the green color and flavor of leaves to an ideal level by inhibiting the transformation process from lutein to beta-carotene. After 1-2 minutes, the wok-roasted are going to be re-fired in ripe wok whose temperature is controlled between 70 and 80℃ to form the good shape and to further remove moisture. La Lao Huo is a terminology refers to the unique way of baking Lu’an Guapian tea. Two makers and a pile of fire are needed to complete this step. Tea masters use special small brooms made out of local weeds to brush the leaves into the unique rolled shape. Then they use a large bamboo drums with a handle on either side. Two makers will stand on each side and place the tea leaves over the fire for 2-3 seconds, then remove it. They will repeat this process over eighty times. 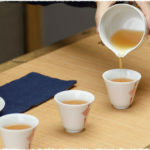 Spring water or deep well water is recommended to brew this tea and the temperature needs to be controlled between 80-85℃. 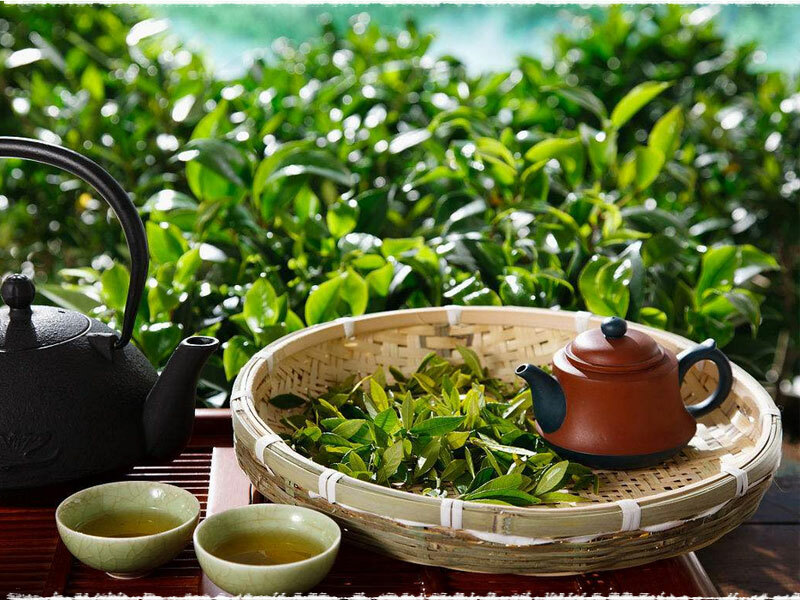 The high-quality Lu&apos;an Guapian tea can endure 3-4 brews, and the second and third taste excellent. The more better they are the more lighter they taste to be. It&apos;s clear apricot yellow liquor help quench thirst for a long time and its sweet flaovr can stay in the back of the palate and top of the throat for a very long time.